The AMEU is an association of municipal electricity distributors as well as national, parastatal, commercial, academic and other organisations that have a direct interest in the electricity supply industry in Southern Africa. 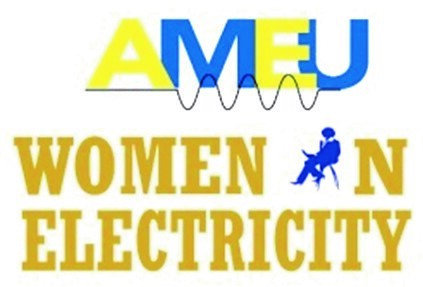 AMEU Women in Electricity (WiE) was established on 3rd August 2015. Its aim was to bring together women in the electricity industry to create awareness on the benefit of gender representation beyond transformation compliance, to share progress on WiE initiatives, provide a networking platform to build strong and united partnerships between delegates within the industry and to gather more insights into challenges and needs of women in the industry. This year AMEU Women in Electricity (WiE) held its first conference under the theme ‘Women Powering Smart Cities.’ The Women in Electricity initiative was created with the purpose of empowering women in the male dominant electricity industry. Its main aim was to achieve meaningful transformation by identifying the right candidates with the right skills set to tackle current and future challenges in energy management. The conference was instrumental in ensuring that WiE continues to live up to this original aim. The conference had an excellent attendance of 160 delegates from different areas in the electricity industry, who are all passionate about women issues ranging from competence to confidence. The programme was facilitated by Ms Lungi Mbewu of City Power. The event was attended by the leadership of AMEU including Sicelo Xulu (Current AMEU President), Sandile Maphumulo (Past President), Ms Sy Gourrah (Past President), Moferefere Tshabalala (President Elect), Vally Padayachee (AMEU Strategic Advisor) and AMEU Exco members. All in all the conference was graced by a variety of phenomenal speakers. The AMEU Vice President Elect and WiE Chairperson, Mrs Refilwe Mokgosi, welcomed the guests and briefly explained the programme goals. Her speech clearly captured the fact that she is very determinant and positive about the future success of WiE in South Africa as a whole.